All recording artists who’ve had a hit record have understood how important it was that their follow-up record release also be successful. More often than not, if the next record bombed, the singer was destined to be remembered as a “one-hit wonder.” Two consecutive hit records, however, could establish an artist as an up and coming “star” and guaranteed radio play and sales for future record releases. When he returned to civilian life in 1960, Elvis continued his streak of hit records. 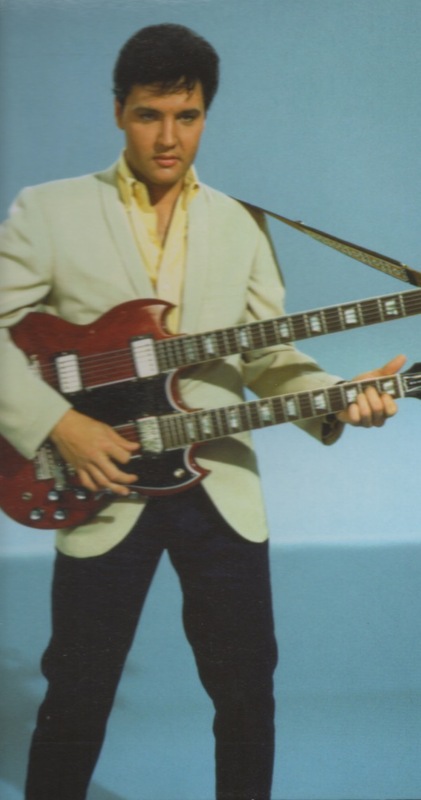 As the sixties wore on, though, it became harder for him to put together successful back-to-back single releases. The quality of the songs available to him weakened, the British Invasion eroded his loyal fan base, and, at times, he had difficulty in adapting to new trends in pop music. Below, listed chronologically, are Elvis Presley’s top 10 “Worst Follow-up Records.” Most make the list because their chart performance was poor compared to the Presley record that preceded it. Others may have done well on Billboard’s chart but nevertheless had the effect of stalling Elvis’s career or heading it down a dead end road. 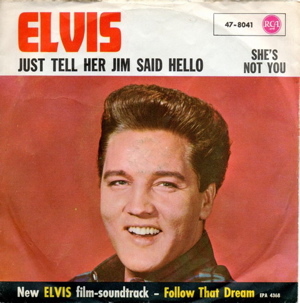 When RCA released this Presley single in July 1962, the label assumed that legendary writers Jerry Leiber and Mike Stoller, who composed both tunes, guaranteed a hit record for Elvis. 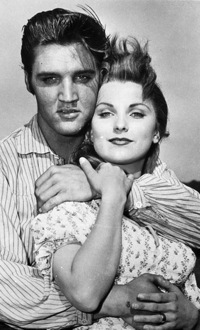 It was the follow-up single to Presley’s “Good Luck Charm,” which had reached #1 on the Hot 100 that April. Actually, the new record fared well on the charts, with “She’s Not You” reaching #5. Instead, what made the record a poor follow-up was that it coupled two non-rockers on the A and B sides. Almost all previous Presley singles had paired a rhythm number on one side with a ballad on the other. Thanks to this new single, Elvis was about to face the coming Beatles onslaught as a crooner rather than as a rocker. This follow-up to “Return to Sender” marked Elvis’s first departure from the top 10 of the Hot 100 singles chart. “Return to Sender” was Presley’s 24th RCA single, all of which had at least one side chart in the top 5. “One Broken Heart for Sale,” which stalled out at #11, indicated that Presley’s name on a record label no longer guaranteed it a place at the top of the charts. At only one minute and 38 seconds, “One Broken Heart” was glaringly brief, and Elvis’s voice was drowned out most of the way by the backup group, The Mello Men. By the start of 1966, Elvis’s single record releases had found their final resting places well back in the Hot 100’s top 20. (The only top 10 Presley record in the previous two years was “Crying in the Chapel.”) Released in late 1965, “Puppet on a String” was typical of Presley chart action at that time, peaking at #14. 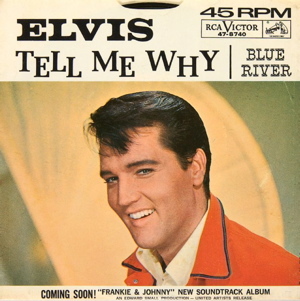 Its follow-up, “Tell Me Why,” performed so poorly that it stopped dead at #33 on Billboard’s chart, making it the lowest rated A-side single in Elvis’s career to that point. 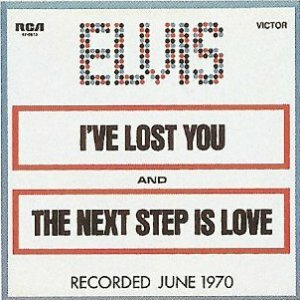 Its drop of 19 chart spots below its predecessor also was a career high for Presley at that time. “Tell Me Why” deserved its fate. Recorded in 1957 and rejected for release then, it was dusted off by RCA nine years later and palmed off on the record-buying public, which justly ignored it. 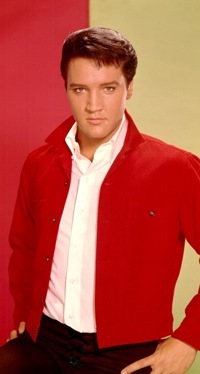 Elvis’s 1968 “comeback” climaxed with his NBC TV special, which aired in December of that year. The process began, however, in January 1968 with the release of the Presley single, “Guitar Man,” which signaled his return to recording relevant music. Since Elvis had been ignored for so long by pop’s mainstream, “Guitar Man” came and went without much notice, reaching only #43 on the Hot 100. Its follow-up, “US Male,” which reinforced Elvis’s commitment to high-energy recordings, began drawing more notice to Presley’s music. It climbed to #28 on the Billboard chart. What Elvis needed was another hot follow-up to keep the ball rolling. Instead, RCA rolled out a pair of tunes from the latest Presley flic, Speedway. It turned out to be the worst performing two-sided single of Elvis’s career. “Let Yourself Go" peaked at #71 on the Hot 100 and “Your Time Hasn’t Come Yet Baby” at #72. The soundtrack single killed Presley’s musical momentum for the rest of 1968. Elvis started his comeback in 1968 with his critically acclaimed TV special and his first hit record in years—“If I Can Dream.” Then in the spring of 1969 came “In the Ghetto,” which went all the way to #3 on the Hot 100, and Elvis followed that up with “Suspicious Minds,” which became his first #1 single since 1962. But wait a minute … “Suspicious Minds” was not the actual follow-up to “In the Ghetto.” Instead, out of force of habit RCA released a single from Elvis’s latest irrelevant film, The Trouble With Girls. Like most Presley soundtrack singles in the late sixties, “Clean Up Your Own Backyard” was given short shrift by DJs and record-buyers alike. It crawled up to just #35, a full 32 spots below what its predecessor, “In the Ghetto,” had achieved. Fortunately, though, “Backyard’s” follow-up was “Suspicious Minds,” which was so remarkable that the pop music establishment effectively purged the soundtrack single from its collective mind. 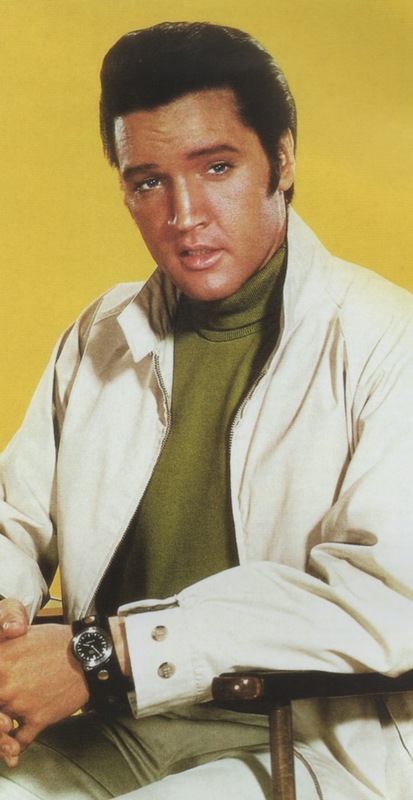 Even today most Elvis fans think “In the Ghetto” and “Suspicious Minds” were back-to-back Presley singles in 1969. Released as a single in April 1970, “The Wonder of You” (#9 on the Hot 100) was the last of six hit singles Elvis had during his chart revival over the previous two years. For some reason, all of the power in Presley’s voice disappeared when he recorded “I’ve Lost You,” his follow-up to “The Wonder of You.” Elvis’s strained performance on “I’ve Lost You” failed to impress, and it limped in and collapsed at #32 on the Hot 100. Presley had one more mid-sized hit with “You Don’t Have to Say You Love Me,” but this time he had no answer to halt the slide that began with “I’ve Lost You.” His next seven singles peaked at #21, #33, #53, #36, #51, #40, and #66. Elvis had given back all the momentum he had built up during his 1969-70 comeback run. By the summer of 1972, the Presley comeback that began in 1968 had played itself out on the charts. Then in August, “Burning Love” shot all the way up to #2. 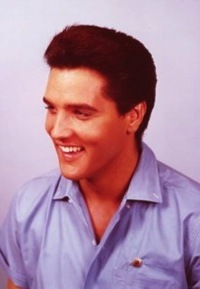 It was Elvis’s first top 10 hit in two years, and an equally energetic follow-up was called for to keep him at the top of the charts. Instead, RCA released “Separate Ways,” a dull, downer of a ballad. There were still enough dedicated Elvis fans around to get the record up to #20 on the Hot 100, but the hope that Presley was about to become a relevant rocker again was dashed. Elvis’s 1969 revival on the record charts was fueled by the single release of “If I Can Dream” from his 1968 TV special. A similar comeback appeared possible in the wake of Presley’s highly rated Aloha From Hawaii TV special in 1973. “Steamroller Blues,” the single released from that show, performed moderately well, reaching #17 on the Billboard chart. Again, a relevant, riveting follow-up was needed to propel Presley to the top of the charts once again. Instead, “Raised on Rock” was the A-side of the next single. Elvis’s disinterested performance on the song inspired little interest in DJs and record buyers. It didn’t even make it into the top 40 of the Top 100. "As the sixties wore on, it became harder for Elvis to put together successful back-to-back single releases. The quality of the songs available to him weakened."